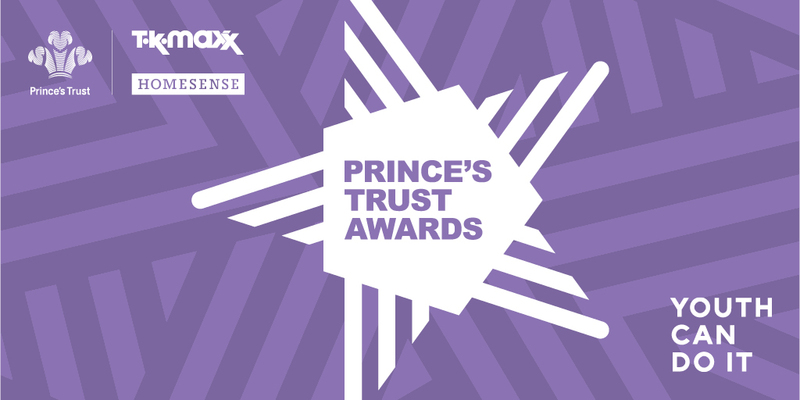 On 16 October 2018 we'll be celebrating in style at the British Museum in London for The Prince's Trust and TK Maxx & Homesense Awards. 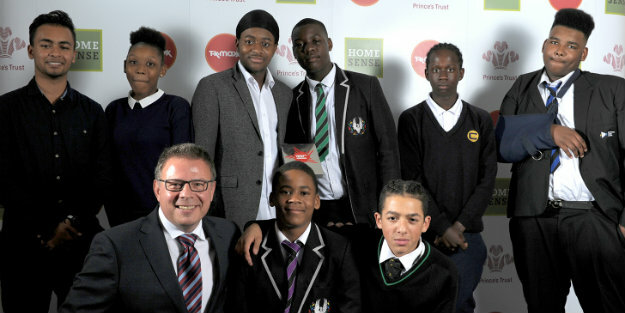 Each young person who has been nominated for a Prince's Trust Award has a unique story. Be inspired by our award winners. 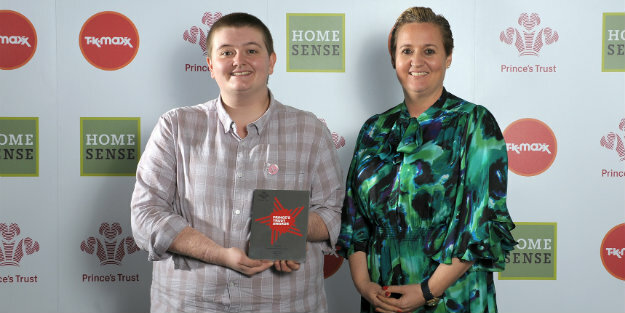 The Homesense Young Achiever of the Year award recognises the success of young people getting into employment, training or education and overcoming substantial barriers to transform their lives. “Growing up I was abused and this had an enormous impact on me and my mental health." I thought everything was my fault, but when I saw the same cycle of abuse starting over with other children, I knew I had to do something, so I reported it to the police and gave evidence in court." “It was an incredibly difficult time in my life. I felt completely isolated and at my lowest point. I still had to go to school and do my GCSEs, but inside I wanted to die and tried to take my own life." “I was nervous to begin with but it didn’t take long for me to feel completely at ease as my confidence soared during the programme. "Today it’s hard to recognise the person I was before because life has changed so much for the better. I am a volunteer assistant Team Leader and a Young Ambassador, and I want to use my past to help other young people. 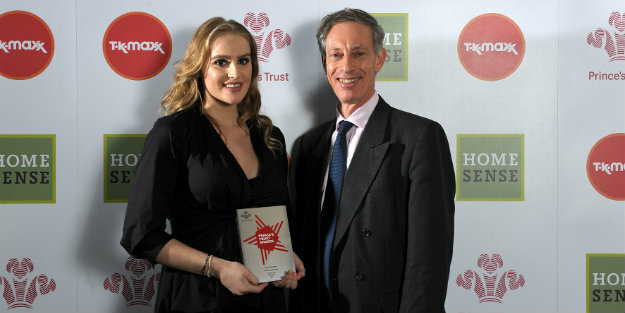 I am so grateful to The Prince's Trust for helping me get here; I am loving the journey I am on." 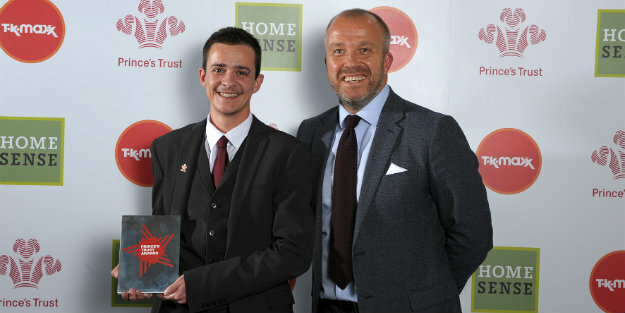 Dylan is a truly inspiring young man and is a very deserving winner of the London & the South East Young Achiever Award. He should be very proud and we’re sure he will continue to thrive. Well done Dylan! The HSBC UK Breakthrough Award recognises the progress of young people in overcoming barriers and developing new skills. "There was nothing I could do to stop the flashbacks from abuse I’d suffered in my past. I tried blocking them out by using drugs and became dependent on them to get me through." “Eventually I thought ending my life was the only way out. When I was hospitalised after my third suicide attempt I was told about the Prince’s Trust and the Fairbridge programme. 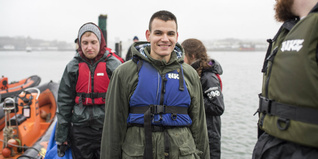 At that point I was desperate for my life to change so I decided to go to the induction day." 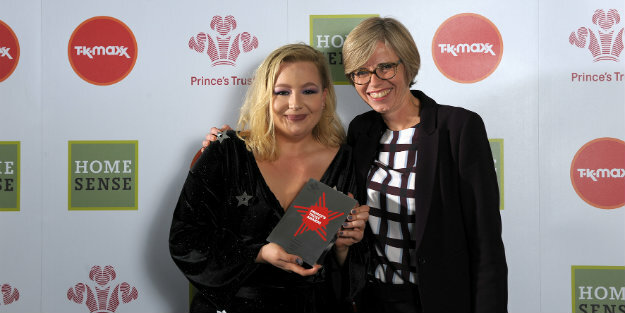 “I could instantly tell the staff genuinely wanted to help and during that first week at The Prince’s Trust I went from wanting to end my life to being the happiest I have ever been." “My passion has always been acting and after completing the Fairbridge programme I did a course with the London Bubble Theatre where I ended the week doing a solo performance – something I would have never thought possible. I am now on a training course with them and hope to pursue an acting career." The HSBC UK Breakthrough Award recognises the outstanding progress of young people who have overcome extraordinary challenges to develop new skills and reach their potential. Jess is the incredibly worthy winner of this year’s award. Congratulations Jess." The Mappin & Webb Young Ambassador Award recognises young people who are exceptional Young Ambassadors for The Trust, these young people volunteer their time to share their personal experiences and inspire others. “My dad passed away when I was 15 which was really hard to deal with, and a few years later I was sexually assaulted which left me feeling vulnerable and I ended up having to leave home for my safety." “During my first year of university my boyfriend was murdered and despite persevering and staying on to graduate, eventually the reality of everything caught up with me and I turned to alcohol to cope." “A few years later I approached The Prince’s Trust with an idea to set up my own corporate massage business." “I really believe in the benefits of massage and my business, WorkSpa, brings massages to the workplace to reduce employee stress and improve productivity. The Trust supported me when I needed it the most and I wanted to become a Young Ambassador for them so I can support others." “In my role as a Young Ambassador, I have shared my story at numerous events to help promote the work of The Trust and raise money for the charity. I am also a member of the UK2030 Taskforce which is aiming to ensure young people have a stake in society." We’re honoured to be able to present Grace with the London and South East Young Ambassador Award. She is a truly deserving winner and has accomplished so much despite facing many challenges on the way. Grace is now supporting others on their own journeys in her role as a Young Ambassador and we wish her all the best for the future. The NatWest Enterprise Award recognises young people who have overcome barriers and achieved success in creating a sustainable business or a community or social enterprise. “I always grew up in a creative household, my family are artists and it was after I lost my mother at the age of seven and went to live with my grandmother that I began to use creativity to express myself. My grandmother taught me to sew from a young age and my grandfather always encouraged me to draw, paint and create." “I was being bullied at school and felt ugly, worthless and talentless. 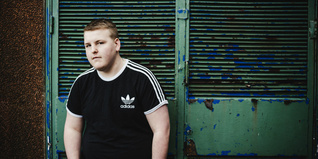 Being overweight, people didn’t take me seriously when I said I wanted to pursue fashion and this, alongside my caring responsibilities affected my education and I ended up with only three GCSEs to my name and suffering from depression." “I really struggled to get work experience in the fashion industry. There were limited opportunities in Brighton and I couldn’t afford the commute to London." “When my grandmother passed away I felt I had hit rock bottom, but then eventually things began to get better. I was still having issues with my self-image, but then when my creativity began to develop, I realised that there is room for everyone, including me, and it was time to create my own space." “That’s when Plus Equals developed, which redefines what it means to be fashionable and plus size. I wanted to see plus size models with cellulite and in clothes that aren’t considered flattering." 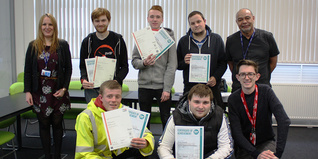 For 18 years NatWest has worked in partnership with The Prince’s Trust through its Enterprise programme. Together we celebrate young people’s entrepreneurial spirit and help turn their ideas into a sustainable business or social enterprise. We are proud to sponsor the Enterprise Award and recognise those who have overcome significant challenges in their path to success. Jazmin truly deserves this award and we wish them a very bright future. 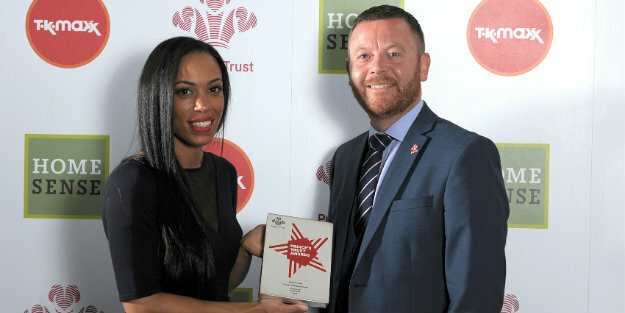 The Delta Air Lines Rising Star Award recognises young people who, despite having faced substantial personal obstacles, are in sustainable employment as a result of a Prince’s Trust programme. “I was at university studying nursing and went to bed as normal and woke the next morning unable to see out of my left eye. It was terrifying. Doctors treated me for what they thought was the cause, but I then lost the sight in my right eye." “My sight loss impacted on every part of my life. I could no longer study nursing, I became afraid to leave the house unaccompanied, and friendships drifted because people didn’t know how to treat me. I’d never felt more isolated." “I met someone from The Prince’s Trust at a job fair in Hackney and they talked to me about their Fairbridge programme. It sounded like my chance to show everyone that my sight loss didn’t mean I needed special treatment." “The programme helped me feel like an equal to others and I didn’t feel singled out because of my disability. I was pushed fully out of my comfort zone and was persuaded to apply for an 18 month apprenticeship with the Home Office which is where I’m working now. The interview process was tough, but I made it through." Charlotte is such an inspiring young woman. It’s difficult to imagine what she’s been through but I greatly admire her bravery and resilience for not letting her disability hold her back. I’m honoured to present her with the London and South East Delta Air Lines Rising Star Award and am sure she’ll continue to succeed in the future and be a role model for other young people. The Dell EMC Community Impact Award recognises the positive contribution young people make to their local community. Danny Lee from The Prince’s Trust who worked with the group said:“All of the group had been identified by their schools as needing an intervention. Low confidence, withdrawal from learning, aggression, fighting and mental health issues were a common theme in their stories, and they were referred to The Trust as an opportunity & safe space to develop themselves." “The young people were taking part in Achieve, a programme we run that builds the confidence and motivation of pupils who are struggling at school. During the programme, they were tasked with running a community project. Whilst doing research, the group discovered the charity A21, which specialises in rehabilitating young people and women rescued from modern slavery." “They decided to book a professional baker, and together they made and decorated 120 cupcakes which they arranged to sell at Dell EMC head office in London and The Prince’s Trust headquarters." “Despite never have spoken to large audiences before, they gave eloquent, passionate speeches to more than 200 staff, and raised over £500." I am proud to congratulate team Kennington In-Centre Achieve Group for successfully winning the Community Impact Award. They have demonstrated how working together they can make a positive difference to their community whilst also learning new skills themselves. Well Done to the thoroughly deserving team! The Ascential Educational Achiever Award recognises young people who have overcome barriers, developed new skills and improved their education prospects. “When I was 14 I realised I felt different to other girls my age and I began to question my gender. I made the difficult decision to come out as transgender a couple of years later which my family struggled to accept as I began to live as a man." “This coupled with struggles with my mental health meant I didn’t get the grades I wanted at GCSE and when I was studying to retake them my mental health deteriorated further and I was hospitalised for four months." 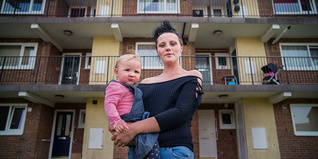 “I was so anxious – I didn’t want to leave the house and the thought of using public transport to get anywhere was terrifying. I was self-harming regularly and couldn’t see a future for myself." “The Prince’s Trust Fairbridge programme was suggested to me and I saw it as an opportunity to change things for the better. I was nervous to begin with but the programme pushed me outside my comfort zone and helped me start to believe in myself again." We’re honoured to present the London & the South East Educational Achiever award to Jay this year. He should be proud of his progress and what they have achieved. We wish him every success for the future. 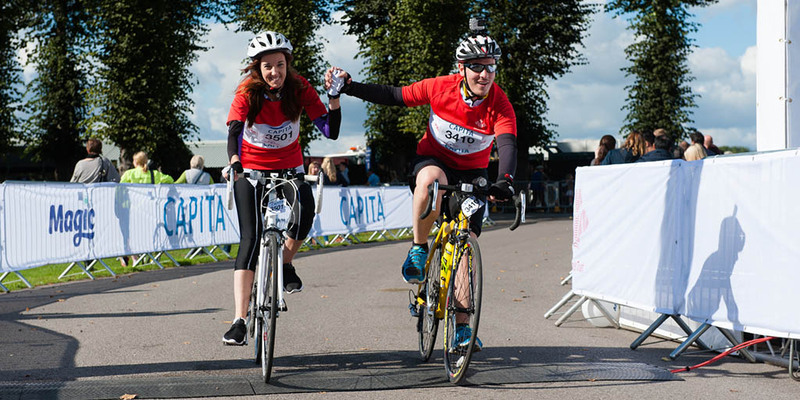 Discover more about how our headline sponsors, TK Maxx and Homesense, support our work.